Okay guys, we're right at that time of the year when every smart phone manufacturers out there, tries so very hard to make their flagship devices better than the other person's own. We've had the Galaxy S9 from Samsung (nice phone, great design, top notch specs, re-imagined cameras and all that), then came the Huawei P20 and the P20 Pro (Great design too, awesome specs, and best camera phones as of now). But in a couple of weeks to come (according to androidAuthority), LG will be unveiling its latest flagship phone for 2018, and probably the 7th addition to its G-series smart phones. And we talking about none other, but the much anticipated LG G7, but this time, the guys working at LG decided to add ThinQ to the name, making it LG G7 ThinQ, good thing for them, even if i don't know what it means. 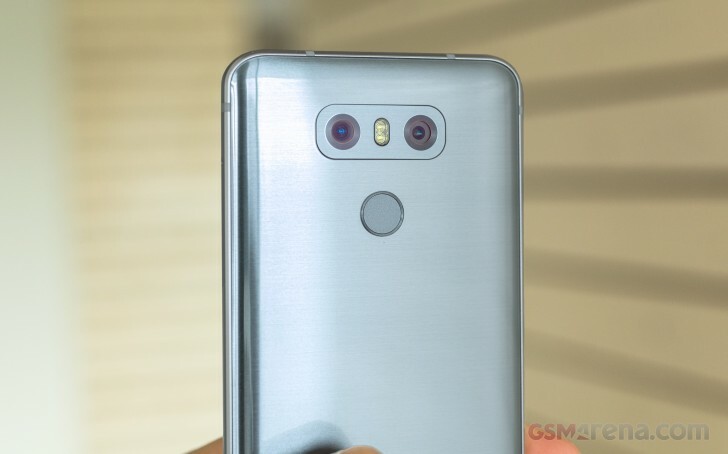 But in the meantime, don't y'all think it is wise if we seize this moment to at least get to discuss some of the specs and features we're all expecting to see come to life on the LG G7 ThinQ smart phone? i guess you never thought about that right? Well let's get down to business. And first of all, we'll be starting off with the design. Okay from what we know so far, LG might be planning something big for its fans this year. They might have finally decided to moved from its traditional all metallic uni-body design it used on its older flagships like the G6, to a more premium looking glass body design, which if this is actually true, simply means the device might as well be coming with the now little popular wireless charging found in devices like Samsung, Apple and the rest. 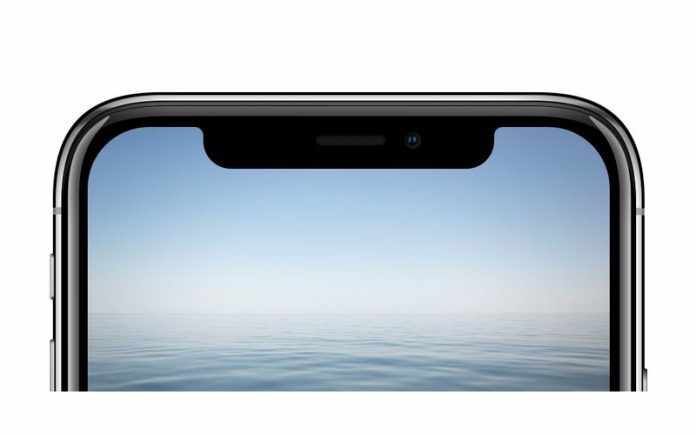 But since we've really not seen any live images of this device yet, then we might just gonna have to take this rumor with a pinch of salt and pepper. And from the image above, we can clearly see that it has a dual camera setup, which are positioned vertically, with a fingerprint reader below... good design language i think so..
We don't know for sure how these things are gonna be set up, or how they're gonna work, but all we know is a report from androidAuthority, stating that the device might be launching with dual 16mp cameras, with either an F1.6 aperture, or the Samsung Galaxy S9 like F1.5 aperture. It also gonna have some serious AI stuffs going on in there like with the LG V30s, it also gonna come with Iris Scanner technology (first on LG) which claims to be way more better and accurate than that of Samsung, HDR video recording, and many more. 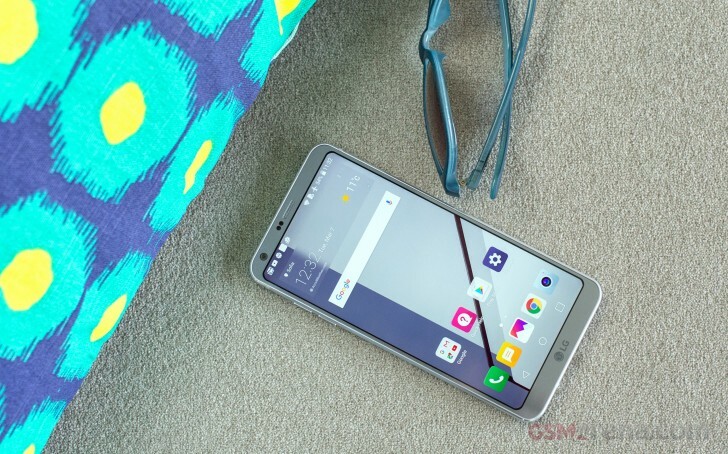 Okay for sure, it'd be a crime and a sin if the LG G7 doesn't launch with the latest Snapdragon 845 Processor, report says it gonna come with a 4GBs of RAM, and a 64GB of inbuilt storage, and anothed variant with a much bigger and larger 6GBs of RAM, and a beffy 128GBs of inbuilt storage, probably there's gonna be a space for expansion. 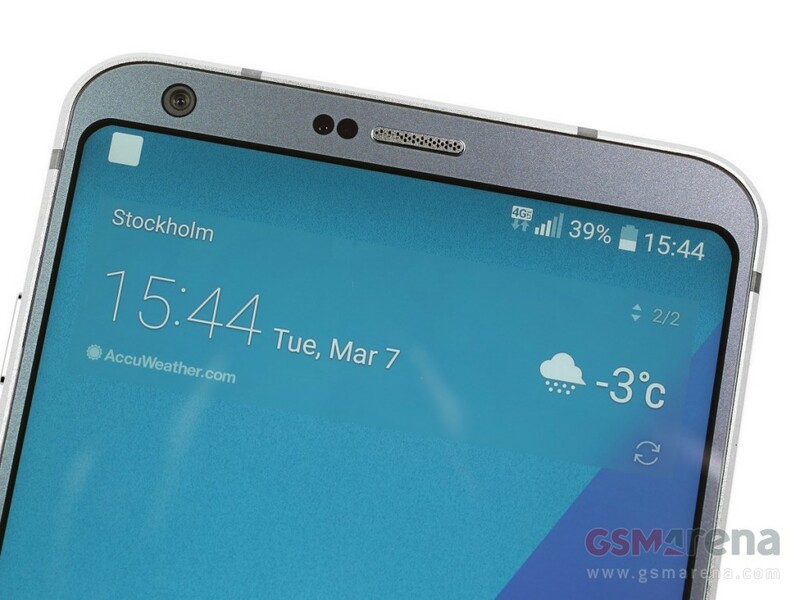 Then we also got news that its gonna come with stereo speakers (not bad), and a dedicated AI button on the side, directly below the volume rockers (more like Samsung's Bixby button), which means that LG is really going hard into this AI thing with the G7. Then its gonna come in a 6.0inch QHD+ display, compared to the smaller 5.77inch display found on the G6, an 18:9 aspect ratio. And there's also a rumor which states that the device are gonna have two different variants for two different screen types.. The first one and probably will be the slightly less cheaper one will be carrying an LCD screen, while the other one and a little bit more expensive, will be flaunting an OLED panel. There's also another report that this thing might be coming with a new 5G network connectivity. Don't know how true this is also, so another pinch of salt to be taken. Okay now, despite all the hate from android fanboys against the notch thing, these smart phones manufacturers still stubbornly go ahead to produce their smart phones with notches.. i mean, can't anyone just be like Samsung? 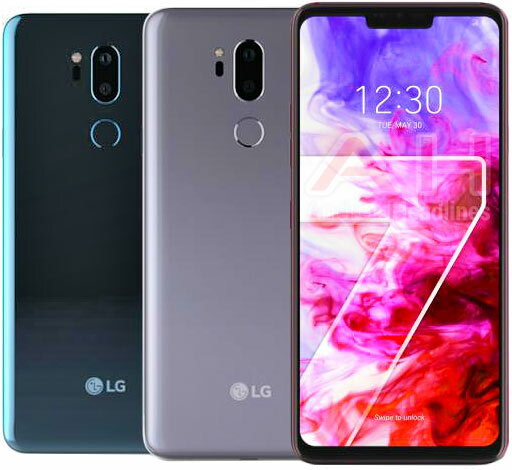 So it has been confirmed, and the LG G7 ThinQ is sure coming with the iPhone X like notch, but we just pray it could be turned off too like on the Huawei P20 and P20 Pro, for those who are not a fan of it, but still really get the phone. So that is pretty much everything we know about the LG G7 ThinQ smart phone for now, and don't forget it will be launched in a couple of weeks from today, which is probably on the 2nd and 3rd days of May 2018. So at that time, we'll get to see in true life, everything that LG has been hiding from us for so long now. But before that time, why don't you use this moment to tell us what you think about the device in the comments section below. Don't forget to share this article, and subscribe to our newsletter if you've not done so.